Jetpacks are coming to Fortnite Battle Royale according to the game’s “new updates” section. 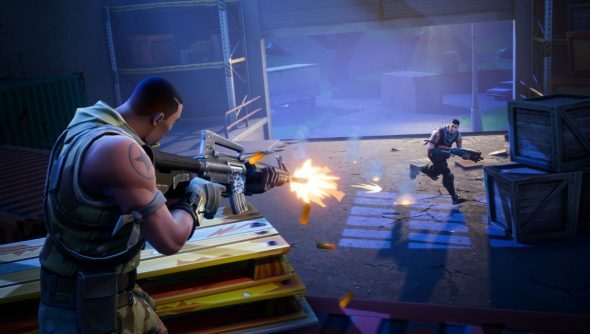 Fortnite Battle Royale is better enjoyed when you’re not winning. 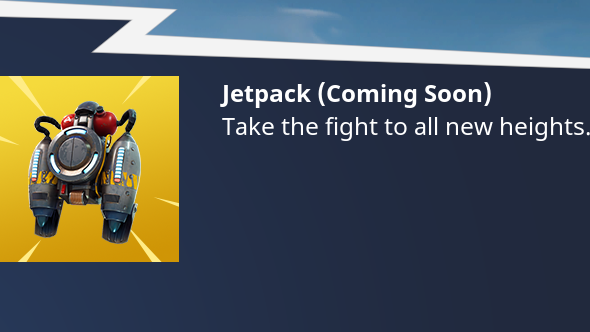 The jetpack item is showing as a gold, legendary item and it seems it will have in-game use as the description says, “take the fight to all new heights.” However, this is the first time we’ve heard about jetpacks, as Epic Games have not officially announced they will be part of the game until now. It’s unlikely you will be able to fly around the map willy-nilly, as that wouldn’t be fair, but jetpacks may provide a much-needed extra jump boost.